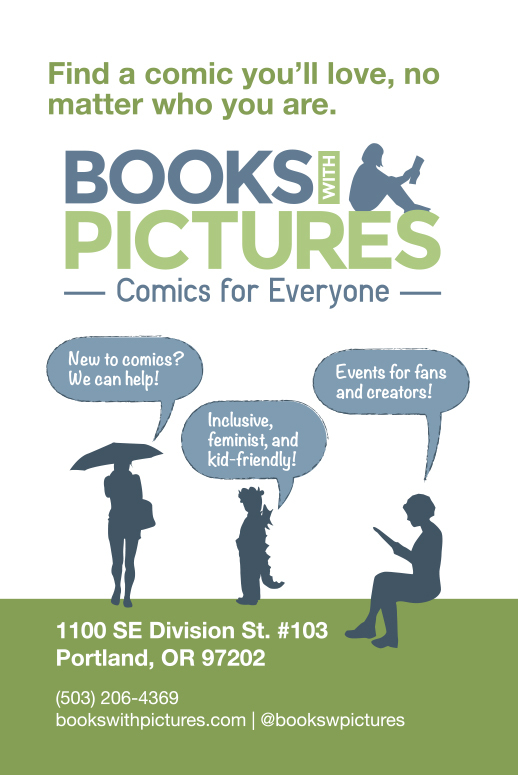 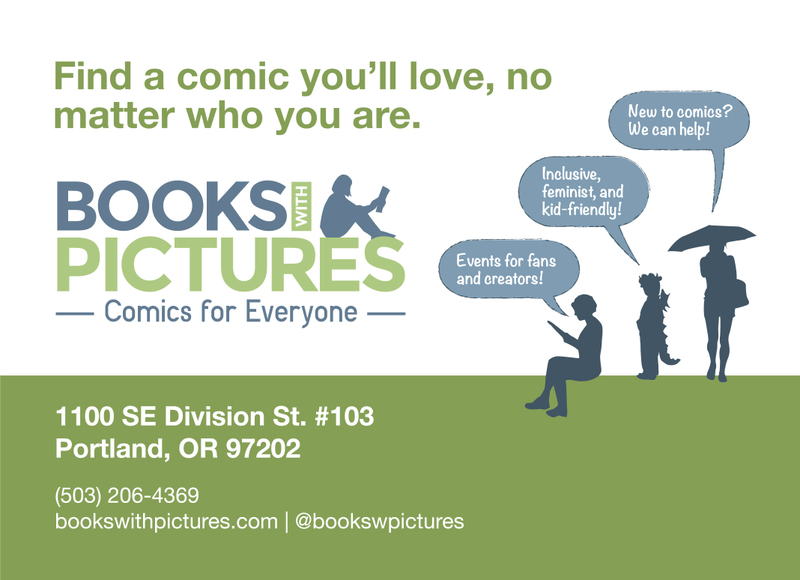 We're working with Books with Pictures to build a brand that shares their bold mission of bringing comics to all ages, genders, and lifestyles. 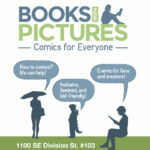 We created a logo centered around enjoying stories, that looks great on everything from business cards to storefront signage. 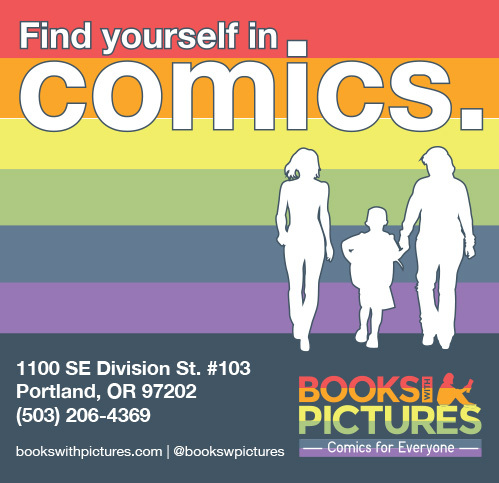 We've continued to support their vision for an inclusive, forward-thinking, family-friendly comics shop with colorful and diverse print ad design, and and social media consulting and analytics. 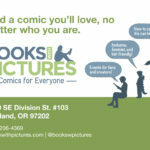 "Upswept is amazing at capturing my brand image and ethos in very few rounds of revision, in ads that very often go beautifully viral."